This has been a busy week. Andy and I moved to France two weeks ago and finally found an apartment to rent Wednesday. So the last few days have been completely dominated with sorting out paperwork, deposits, the internet, electricity and buying bits and pieces that we need like sheets, towels, pillows…and on and on. More articles to come next week, for now here are some links for you to look through over the weekend. Barbie still has a long way to go to reverse the decades of damage it’s done to young girls body image but their new Sheroes range is an interesting start. The range is a series of limited edition dolls modelled after successful confident women like athlete Gabby Douglas, director Ava Duvernay and plus size model Ashley Graham. 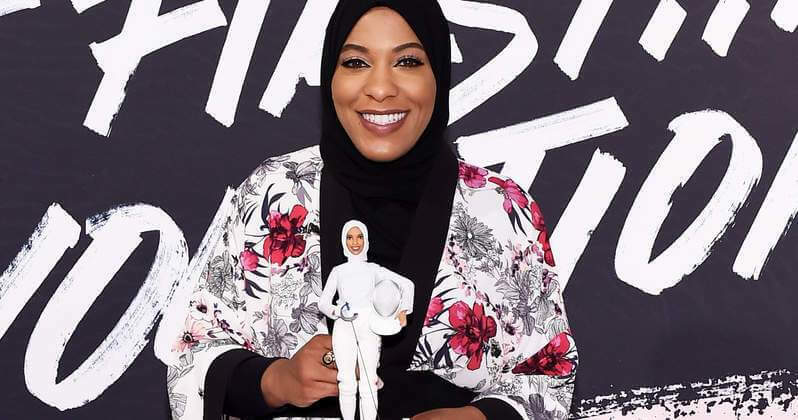 Their newest doll is based on Olympic fencer Ibtihaj Muhammad and is the first Barbie to wear a hijab. Artist Lydia Ricci’s work has had quite a lot of coverage online this week but I want to share it anyway, mostly so that I can say just how much I love it. 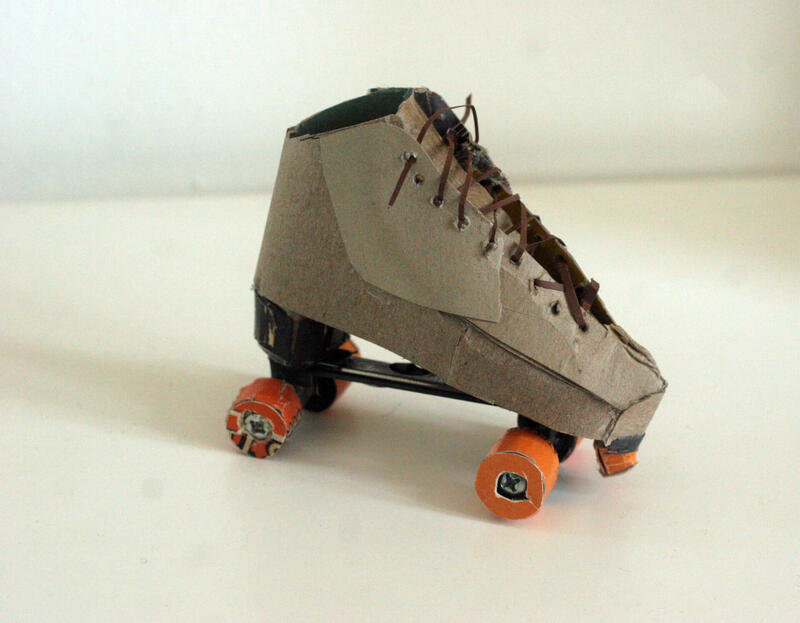 She makes small replicas of everyday objects out of scraps of paper, cardboard and bits and pieces that she collects. The replicas have that perfect combination of realism and cartoonishness that make them seem alive. More real than real life. I’d really like to try making one of my own, I was thinking of a laptop as I spend most of my day staring at one. 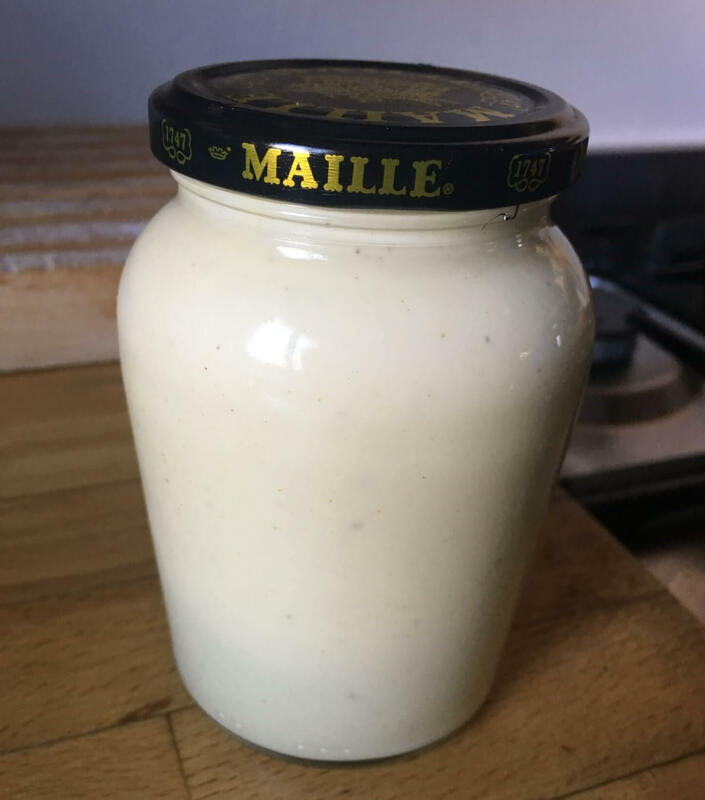 It seems like a basic condiment to most people, but mayonnaise when you’re vegan becomes a bit of a holy grail. There are more and more options out there but not many of them get close to the real thing and they are always three times the price of regular mayonnaise. Andy and I are big fans of making things from scratch so we figured we could tackle this. We found lots of recipes but started with this relatively simple one from Serious Eats because we liked the idea of using aquafaba, a liquid I still think is magical even though I understand that it’s just starchy water. The result was surprising. It took five minutes to make in a blender and tasted really good. Very similar to egg mayonnaise, we were impressed. We’ve discovered that French garlic is ridiculously strong (obviously) so we would probably halve the amount next time…luckily we like garlic mayo too. Ours was also a little thin for us so we want to experiment with adding more aquafaba next time to thicken it up. This piece on Vox by Matthew Yglesias on whether Bill Clinton should have resigned when he was President. This article seriously made me reconsider my previous thinking on the Clinton-Lewinsky event and my reaction to it. Exactly like Yglesias, I remember feeling that Clinton’s affairs should be a private affair and left out of politics. I even remember comparing it to Mitterand as Yglesias did. Now, I realise that I was looking at if from a skewed perspective and I’m unsure how I feel about it anymore. Also from Vox, this essay by David Litt on his experience working as a speech writer for Obama in his twenties. Ikea is taking on Tesla and launching its own home battery, from Wired. Homes in 10 years may already look incredibly different…assuming you have the resources to buy into some of this new tech. National Geographic have a really interesting article about Jerusalem with some beautiful photos. My ‘How to cook pasta’ research led me to discover that there’s an International Pasta Organisation. Do they have a careers page…? And did you know that Italy produces 3.4 million tonnes of pasta a year? Yes, there’s a pasta statistics page… you’re welcome. Finally, Andy and I rewatched The Birdcage this week. I laughed more at Nathan Lane and Robin Williams as Albert and Armand Goldman than I have at any film since maybe Deadpool. Every scene is brilliant- funny, moving, intelligent. Please watch it again. I’ve also added a video of Oprah talking to both of them about the film, both actors are just as funny.